Tested for use with chemotherapy drugs. 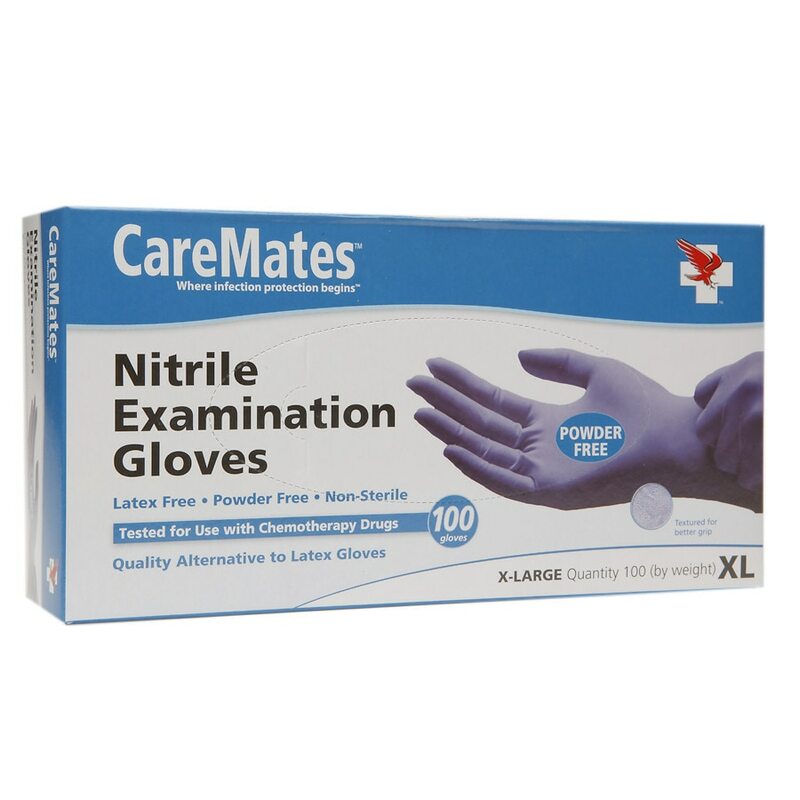 Quality alternative to latex gloves. Textured for better grip. Comfortable easy on, easy off. Meets ASTM D6978-05 for resistance to permeation by Chemotherapy Drugs. Meets ASTM F1671 current edition for Penetration of Blood-Borne Pathogens using PHI-X174 test system. Meets ASTM F739 current edition for "Liquid Permeation" including Alcohol. The ASTM has established minimum quality standards for the manufacture of safe and effective infection control devices. This product exceeds ASTM minimum standards. This exam glove is intended to protect the wearer and/or the subject from contamination. Users are advised to review material safety data sheets for the chemicals being used in chemotherapy to dtermine the required level of protection. Gloves used for protection against Chemotherapy Drugs exposure should be selected specifically for the type of drugs being used. Do not use product if you have a known allergy to chemical additives. Single use only. Not manufacture with natural rubber latex.